Many auto enthusiasts develop strong relationships with the vehicles they’re passionate about, and many of us even give our cars a name that fits the car’s “personality.” And as many guys do, Corbin fell in love with Josie, his 128i the first time he saw “her” on the lot and has owned her since new. It’s a feeling that I personally can relate to, and I’m sure many of you reading can understand the feeling (I’ve named many of my vehicles and can list them like ex-girlfriends). 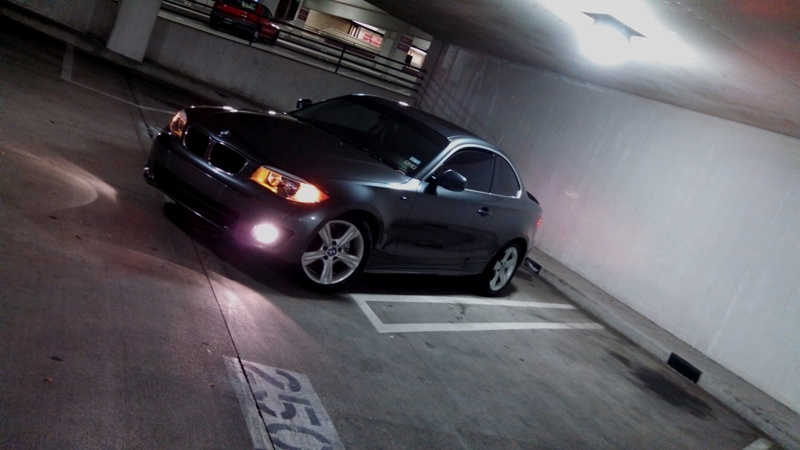 Hailing from Southern Texas, Corbin S has been working together with some guidance from the Mod Experts to convert his 128i from standard to M-Sport spec. 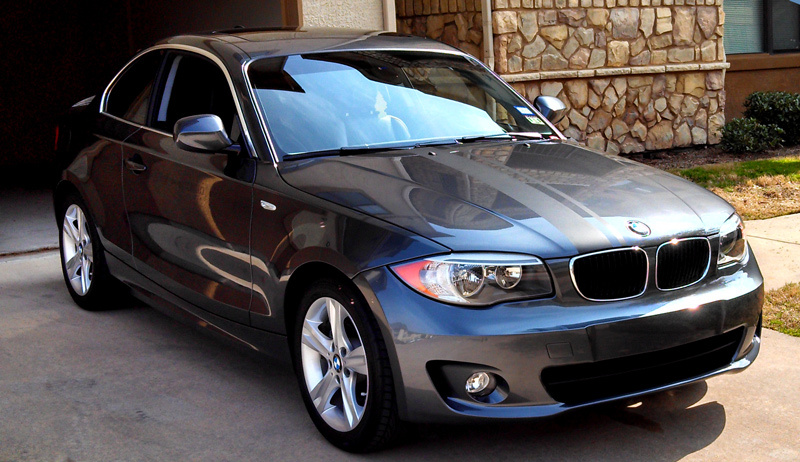 With our selection of BMW 1-Series Parts and Accessories, he certainly had options. “Josie and I share a bond like no other. I’ve been through a lot with her and she’s always been there by my side. I couldn’t ask for a better car- I plan to keep her until she can’t move anymore under her own power or mine!” It’s great to see such passion and genuine affection for one’s special car. With the goal of creating a usable daily driver that can hold its own at weekend autocrosses as well as look good enough to confidently let the car strut its stuff at the occasional show, Corbin has made a few key upgrades. The Mod Expertshelped out with a set of LED Sidemarkers for BMW 1-series, BMW Performance Carbon Fiber Spoiler for E82/E88 and thanks to a wrecked 128i M-sport, “Josie” now sits on M-Sport suspension and numerous interior components have been converted to M-Sport Spec. Corbin then beefed up the sound of the bavarian powerplant by deleting the resonator and performing the “Golf Tee Mod” popular among 1er enthusiasts. Corbin tells us that he enjoys taking “Josie” out every chance he gets (when she’s not covered up in the garage) and his future plans for the car include a BMS Power Box for BMW N52 Engines and a set of BMW Performance Gloss Black Kidney Grilles for 1-series to give the 128i a little more oomph and take the visual upgrades a step further. We’re thrilled to be a part of the build and look forward to the next step, because at ModBargains, our mission is to make the world a better place for Auto Enthusiasts by sharing our Experience, Expertise and Enthusiasm – and working with Corbin and seeing how deeply he loves “Josie”, I’m inclined to believe we’ve done just that. 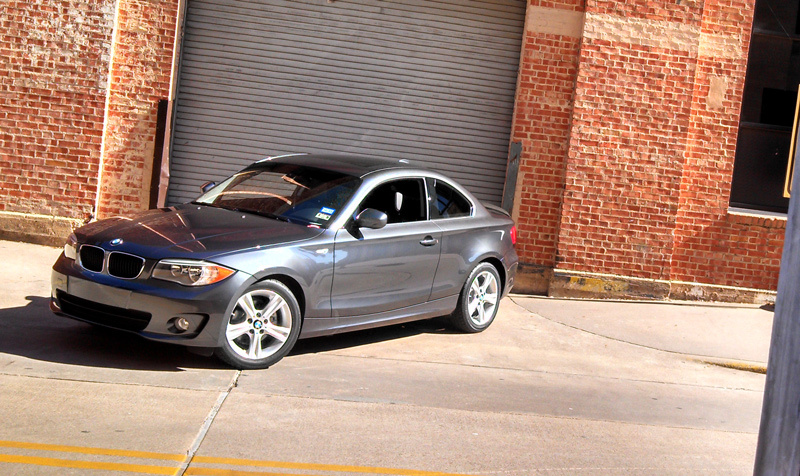 Want to Upgrade your BMW 1-Series or buy BMW Parts? Check out our selection at ModBargains.com. We invite you to talk to our Modification Experts about the your build – we’ve got the Experience because we’ve built many popular enthusiast vehicles ourselves and the Expertise to recommend the best parts to suit your goals – even if you don’t see a part on our site, just ask, we can probably get it for you. 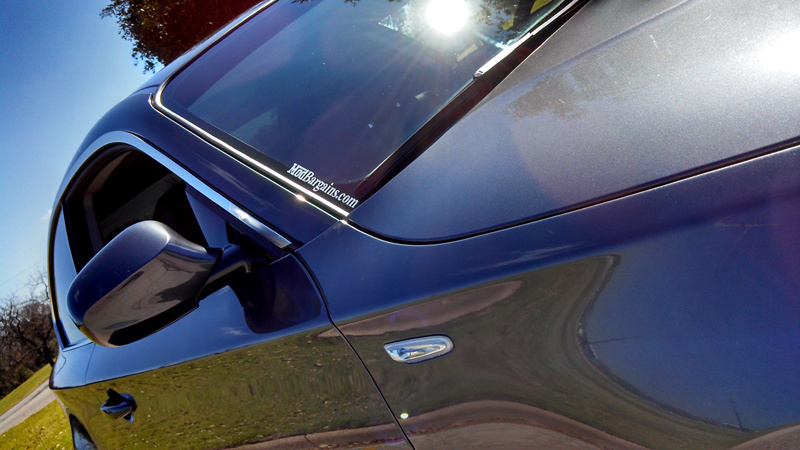 Call 714-582-3330 to speak to Modification Experts and our other Experts today!